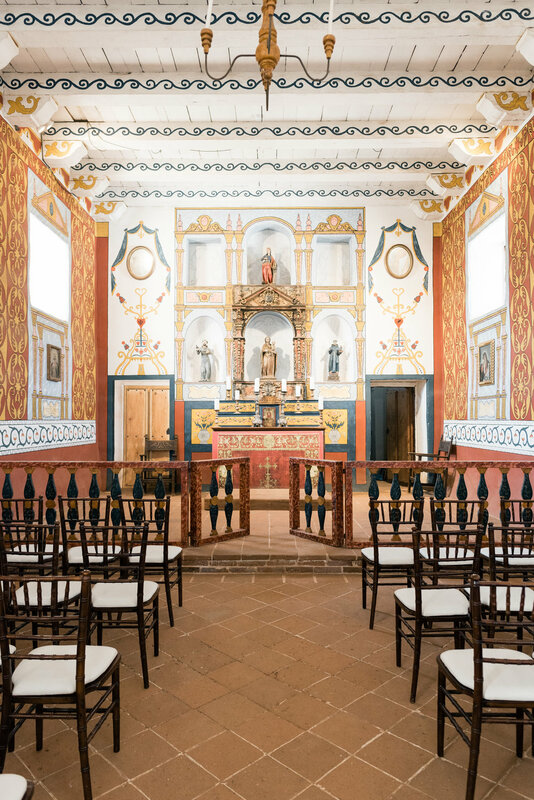 The Presidio Chapel has an 18th century furnished space with whitewashed walls filled with beautiful paintings and candle sconces. The altar is unique and absolutely stunning with a painted rail that represents marble. There is a small balcony overhanging the interior front that can be used to house vendors such as musicians and photographers. The acoustics make this location a beautiful place for all special celebrations and events. The chapel is also able to provide soldiers to add an authentic touch to the chapel. Decorations: The chapel is already very beautifully decorated with paintings and lots of color.